Ansar al-Sharia (Partisans of Sharia) is an Islamist militia group that advocates the implementation of strict Sharia law. Ansar al-Sharia came into being during the Libyan Civil War. The organization has deliberately targeted both Libyan and American civilians and took part in the 2012 Benghazi attack. Several news sources have labeled them as a terrorist organization. Ansar al-Sharia was formed during the Libyan Civil War and rose to prominence after the killing of Muammar Gaddafi. Made up of former rebels from the Abu Obayda Bin Aljarah Brigade, Malik Brigade and February 17th Martyrs Brigade and many more, the Salafist militia initially made their name by posting videos of themselves fighting in the Battle of Sirte. The leader of Ansar al-Sharia, Sheikh Muhammad al-Zahawi, later gave an interview on a local TV station forbidding participation in Libya’s first post-civil war parliamentary elections on the grounds that they were un-Islamic. The militia went on to provide security to some public property in eastern Libya, including Benghazi’s Al Jala Hospital. The group is reportedly the military arm of Al-Dawa wa Al-Islah, a charitable organization. Noman Benotman, a former member of the Libyan Islamic Fighting Group and analyst of Libyan Islamism claims that Ansar al Sharia is less an organization than a term applied to an amorphous coalition of Islamist and Salafist groups active in eastern Libya. The logo of the Ansar al-Sharia is a pair of AK-47 assault rifles, a clenched fist with one finger pointed up, an open Koran, and a black flag. Fawzi Bukatef, the leader in Benghazi of the rival Islamist militia February 17 Martyrs Brigade, claimed that members of the organisation had been responsible for the assassination of Abdul Fatah Younis, the commander of rebel forces during the Libyan civil war. Ansar al-Sharia used its online presence to denounce the 2013 capture and removal from Libya of al-Qaeda operative Abu Anas al-Libi, by American military forces. On September 11, 2012, the United States Department of State Operations Center advised the White House Situation Room and other U.S. security units that Ansar al-Sharia was claiming responsibility for the attack on the U.S. diplomatic mission in Benghazi that had just occurred. Witnesses said they saw vehicles with the group’s logo at the scene of the assault and that fighters there acknowledged at the time that they belonged to Ansar al-Sharia. Witnesses also said they saw Ahmed Abu Khattala, a commander of Ansar al-Sharia, leading the embassy attack, a claim Mr. Khattala denied. According to longwarjournal.org, the group issued a statement asserting that it “didn’t participate as a sole entity” and that the attack “was a spontaneous popular uprising” to the film trailer Innocence of Muslims, widely condemned as anti-Islamic. As of 6 August 2013, U.S. officials confirmed that Ahmed Abu Khattala, the Libyan leader of Ansar al-Sharia, has been charged with playing a significant role in last year’s attack on the U.S. diplomatic compound in Benghazi. According to NBC, the charges were filed under seal in Washington, D.C. in late July. Khattalah was arrested by U.S. Delta Force special operations personnel in a raid on Libya on 15 June 2014. He is being transported to the United States aboard the USS New York aircraft carrier and is expected to face trial in a U.S. criminal court. On 21 September 2012, after massive anti-militia protests in Benghazi which largely blamed Ansar al-Sharia for the mission attack, hundreds of protesters stormed the militia headquarters, pulled down flags of the militia and torched a vehicle inside the base. The group was forced out of its bases in Benghazi the next day. A few hours after the attack, Martyrs of February 17, together with Bou Salim Martyrs brigade, allegedly agreed to disband, however about 150-200 militiamen moved from Benghazi to Jebel Akhdar area. As of December 2012, the group still existed, although it had adopted a low-key position. By March 2013, the group had returned to Benghazi and began patrolling hospitals and manning checkpoints, as well as providing humanitarian services to residents. By late 2013, the group had opened up a branch in Derna, under the slogan “A step toward building the Islamic state”. 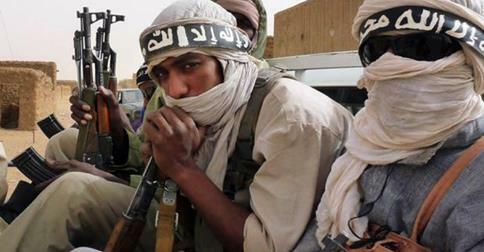 The group also has a presence in the Libyan cities of Ajdabiya and Sirte.